Our homes are our refuge, our place of comfort, our safe place; or so they should be. Unfortunately we live in a country in which the high crime rate makes us vulnerable, even in our homes. High walls, electric fences, intercom systems, CCTV, alarms and armed response, security gates and burglar bars are all too familiar in our neighbourhoods. We shut, hide and lock ourselves away from the threat of danger and loss in an attempt to make ourselves and our loved ones as safe as possible. 1. Allow light and ventilation inside while keeping danger out. Our homes are not only our safe places, they are also the places in which we express our style and visualise our personalities. Often this style lies hidden behind wall spikes, heavy remote controlled gates, thick burglar bars and heavy solid doors, only to be revealed to a special few. This is a far cry from the friendly white picket fence and happy garden with welcoming pathway that we dreamed of while growing up, it is however our reality. Thankfully home security products have come a long way, they do not need to be ugly, heavy and foreboding barriers to the outside world. Clever design and technology have negated the need to compromise style for security and more and more products are satisfying both. AMERICAN shutters’® Security Shutters are one such product. They offer security with style and there is therefore no need to compromise the aesthetic beauty of your home to beef up your security. AMERICAN shutters’ Security Shutters offer quality, style, beauty and a formidable security barrier, protecting your home and your family. 2. 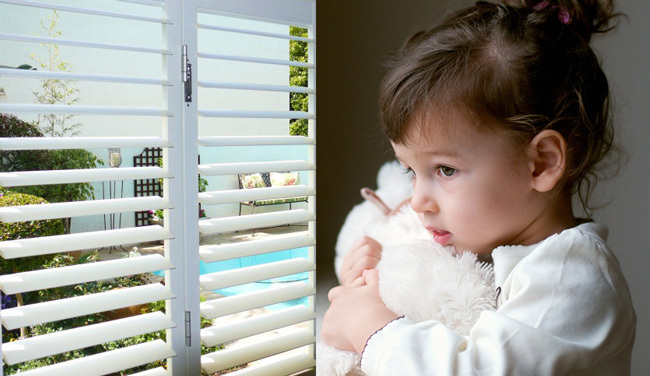 Suitable for interior and exterior use, Security Shutters add to the design appeal of any space. Made of 100% recyclable powder-coated aluminium with stainless steel locks, screws and fittings and anodised aluminium tracks and hinges for anti-corrosion, this range of adjustable louvre shutters are suitable for interior and exterior use. They have a maintenance-free finish, are durable and robust; reinforced with steel rods running through the core of each louvre and extending into the stiles. They complement any style of architecture and enhance both the exterior and interior design appeal of a home. Careful attention is given to quality design finishes from the choice of finishes to key lock options, from a choice of hinged, by-pass and bi-fold to colour-coded end caps on stiles and louvres. Their versatility make them the ideal home security product; easy to open completely and allow the maximum enjoyment of a beautiful view or the indoor-outdoor lifestyle we as South Africans love. Louvres are also easily adjusted to direct natural light and ventilation for optimum indoor comfort. Don’t let your home become a victim to style-less home security, add security and style of Security Shutters and enjoy peace of mind.